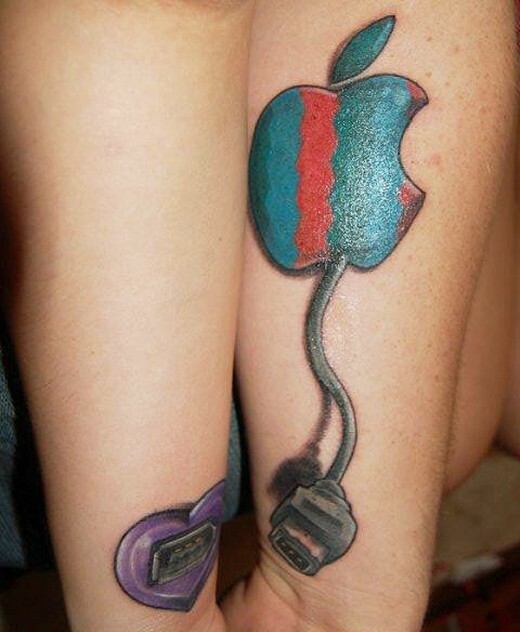 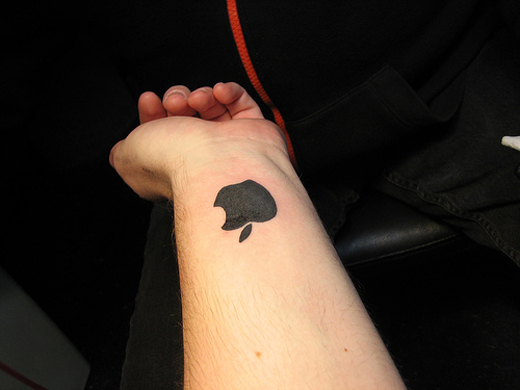 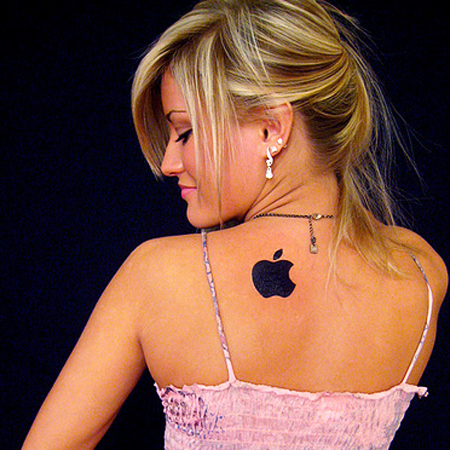 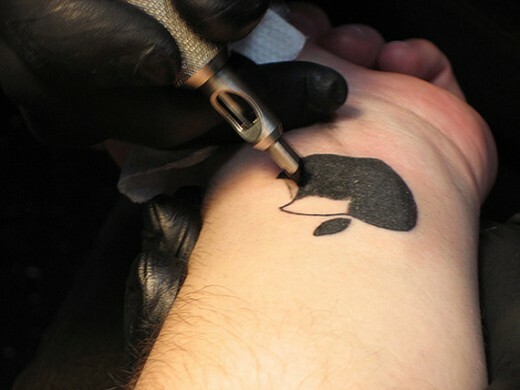 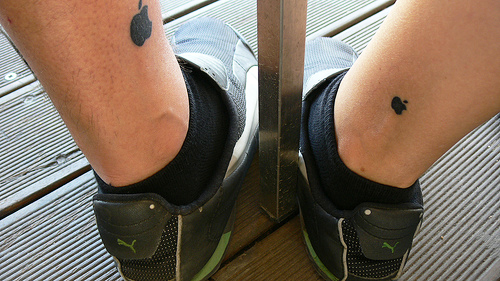 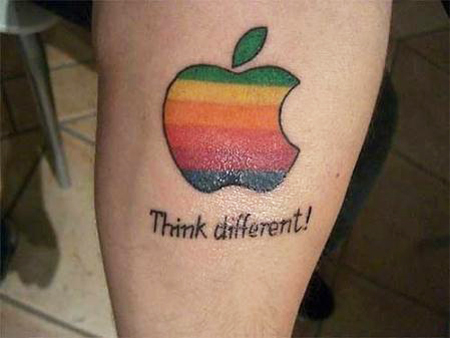 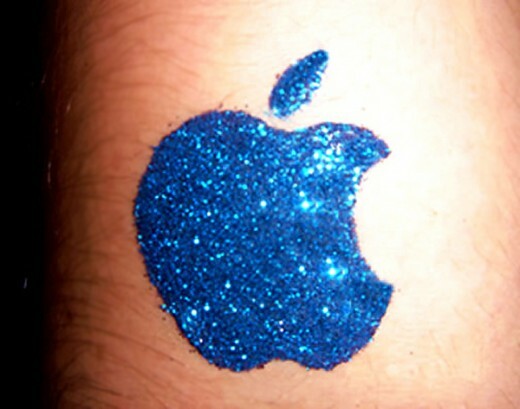 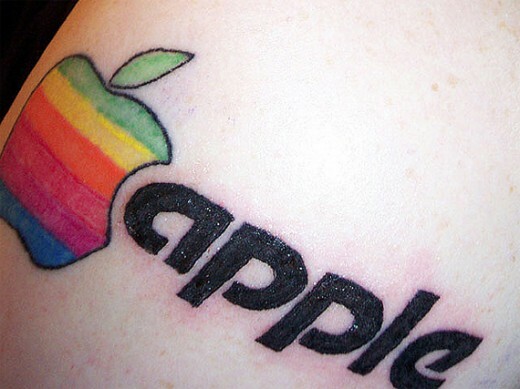 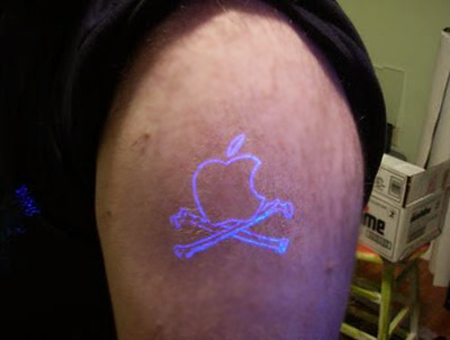 Apple logo tattoos are probably the most tattooed brand. 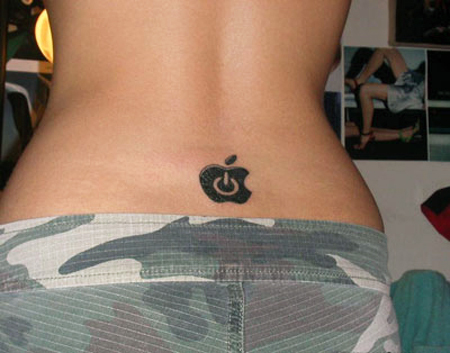 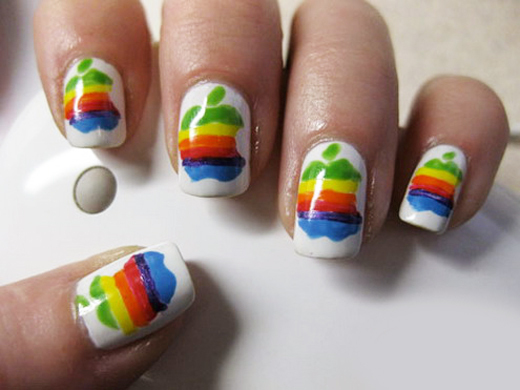 There are a lot of Apple loyalists out there who like to show they are Apple supporters. 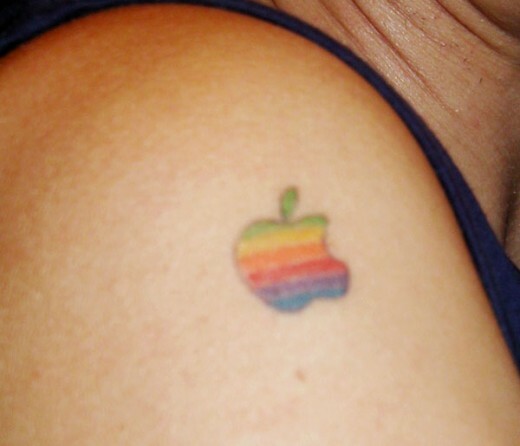 Some even get the smiley Mac logo from the early 90’s. 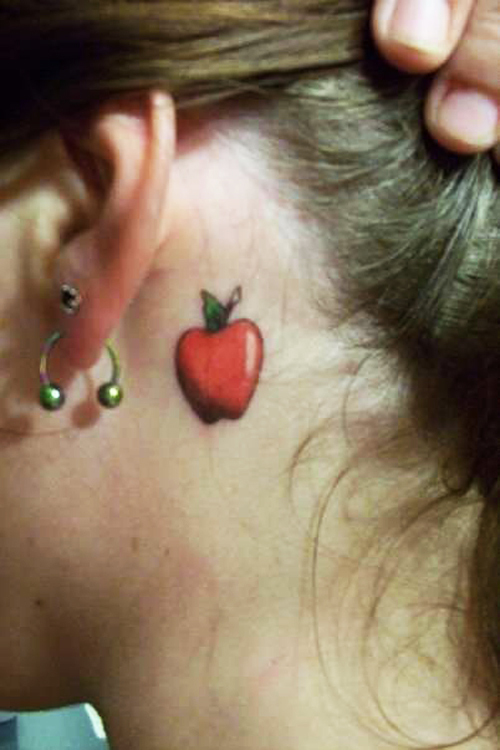 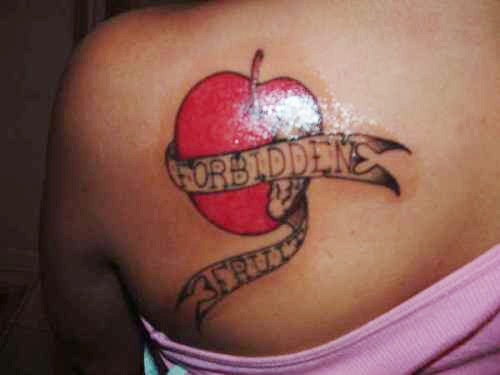 Apple tattoos are used as reminders to abstain from sin and overcome temptation, as well as symbols of seduction and sexuality. 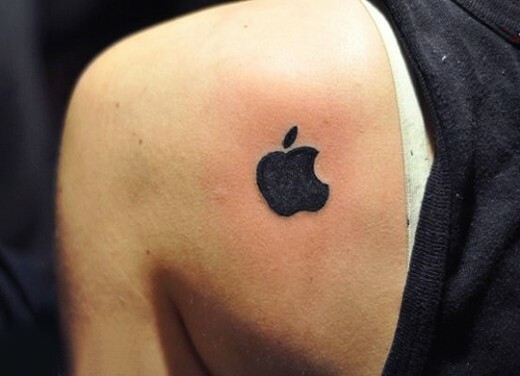 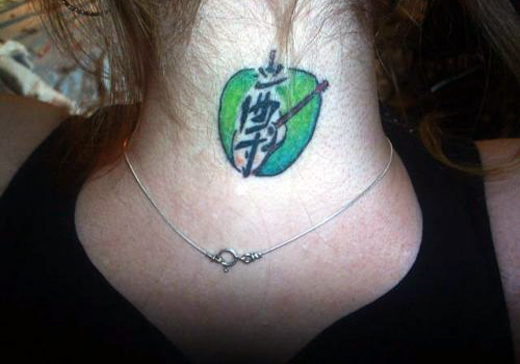 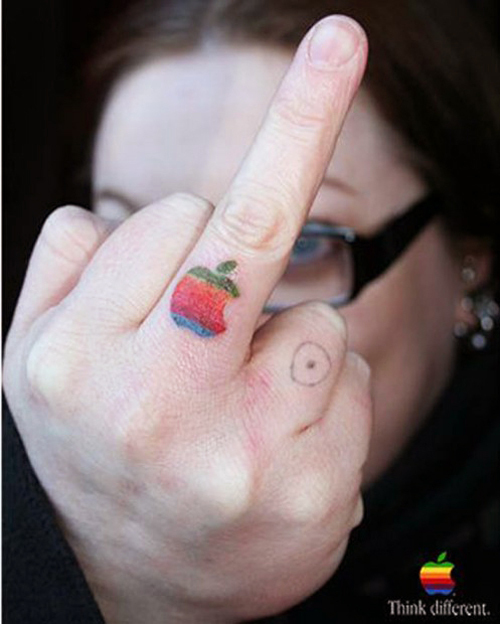 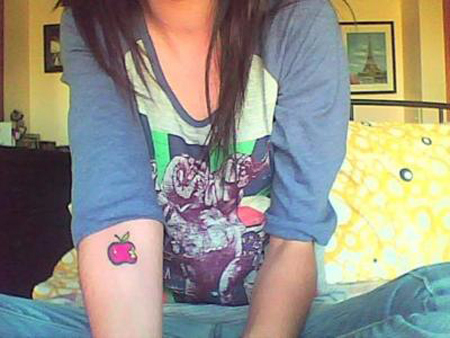 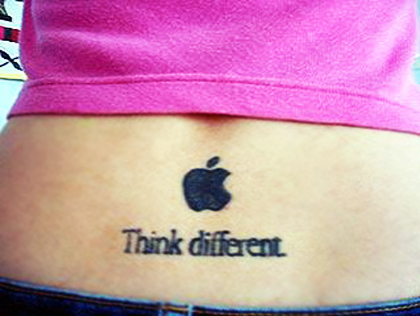 Because apple symbolism is so rich, historically and contemporarily, it is nearly impossible to assume the exact motivation behind someone’s apple tattoo. 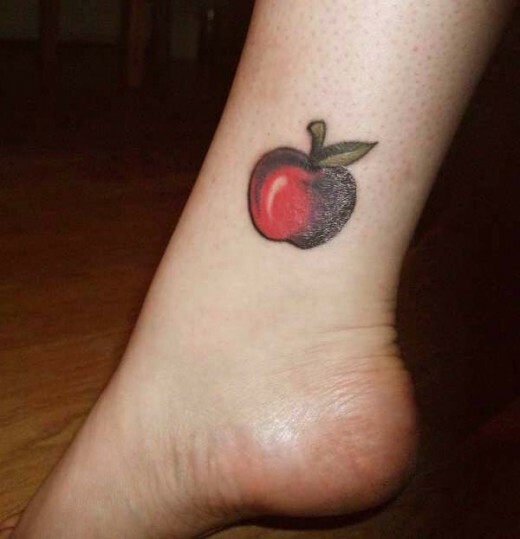 I hope you enjoy looking at this collection. 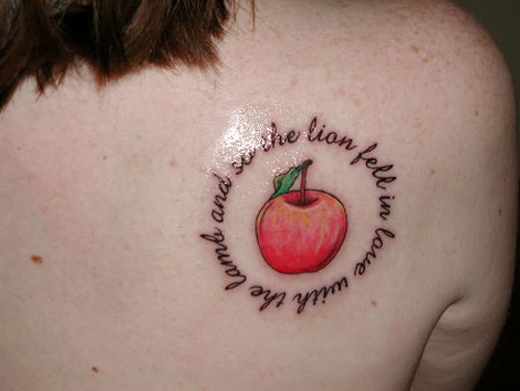 I had a blast putting it together! 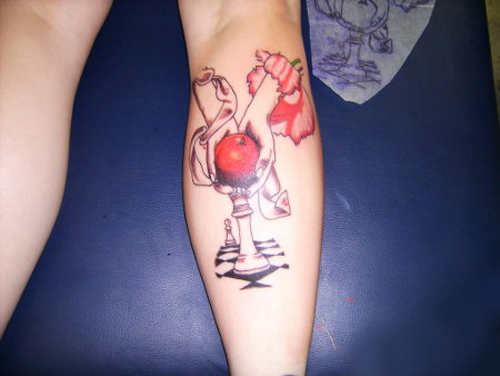 If you are seriously considering getting a tattoo, we suggest you take a look at a site such as Tattoo Designs. 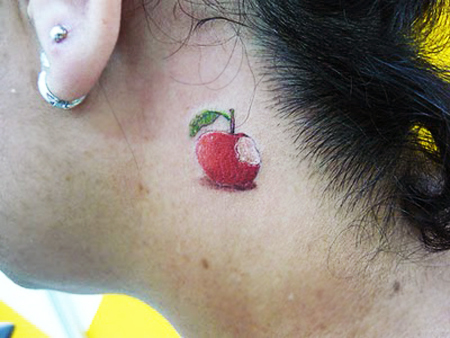 They have the largest collection of high quality, award winning tattoo designs that you can print out and bring to your local tattoo artist.